QR Codes: Quick Response Codes. Many people don’t know that QR codes have been in use for about a decade now in Japan’s automobile industry. However, recently QR codes have shown up in everyday usage. They are kind of like improved bar codes! Bar codes have a maximum capacity of 20 numerical digits and make it easy to keep track of products in a warehouse or supermarket. However, QR codes are able to contain thousands of alphanumeric characters, which allows it to be scanned and used versatilely. 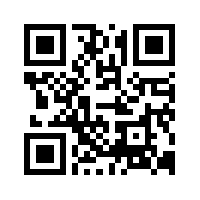 Try scanning this with a QR reader! You can generate your own QR Code! There are a number of QR generators online that are free. You can even get a little more creative and have them custom designed with your logo within the QR Code. Now try scanning this one! You simply need a QR code scanner/reader app on your phone, which you can download in your app store for free. When you scan the QR code, it takes you to the direct URL for what the QR code was meant for. If you use a website to generate a QR code that also has QR code management, by paying a small price, you can use the QR code management to change the destination address after your QR code has been created or printed. This is especially helpful if you have made an error or need to make an update to the URL or basic information. QR Codes can be tracked and analyzed to see where the QR codes were scanned, which is very helpful to see where and what type of marketing has been successful. For example, you can create a QR code for a billboard poster, and then a separate QR code for flyers that you pass out to people, and compare which form of media advertising has obtained the most response. Maybe next time you’ll put a QR code on your prints with CatPrint! ← Paper? Papyrus? Papyrus Paper?